How to "code like a weaver"
People often stumble while trying to find metaphors that explain what, precisely, writing computer code is like. In "Code Like a Weaver", the software developer Kristina Taylor notes that she got all her conceptual framework from her mom, who exposed her to baking, laundry, and weaving. Baking taught her fractions and math; hanging the laundry taught a concept uncannily like the "software stack"; and weaving is about as algorithmic as things get. As Taylor notes, the 19th-century Jacquard Loom -- which was fed weaving patterns via punch-cards -- set the stage for the idea of feeding instructions into obedient machines, and watching abstracted patterns rendered onto the world. My loom is a fairly simple 4-shaft, 6-treadle counterbalance. I’ve currently got it programmed to weave Swedish lace. To decide how to thread the loom and what treadling pattern to use, I took the basic structure of Swedish lace, and fed it into a google spreadsheet. The first 4 rows across the top define the threading: which warp threads go through the heddles on which shafts. I used the first 8 columns in the spreadsheet to play with treadling & tie-up patterns until I got an overall fabric structure that I liked. It turned out that I only needed 6 of the columns for the patterns I wanted to do, which is great — because I only have 6 treadles. 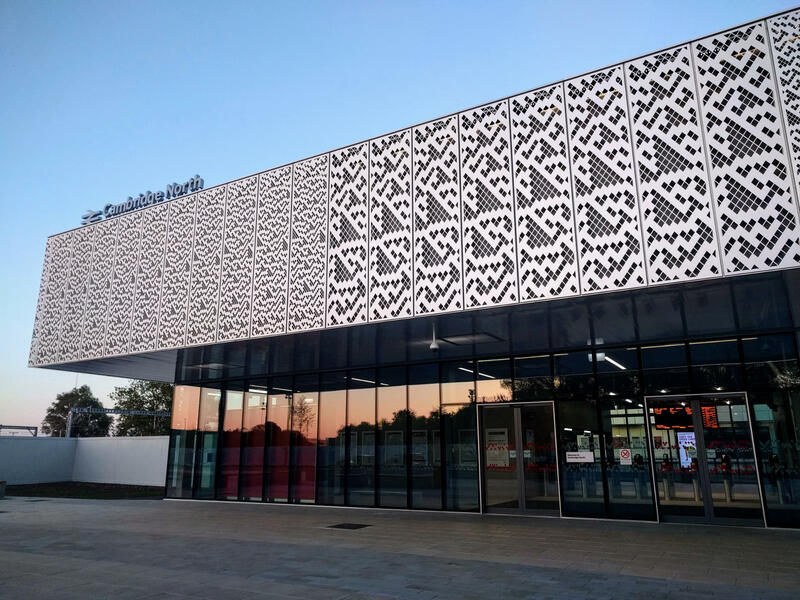 A train station with walls designed using cellular automata "Rule 30"
Last year this new train station, "Cambridge North", opened in Cambridge, UK -- with its walls cut into this mesmerizing pattern. 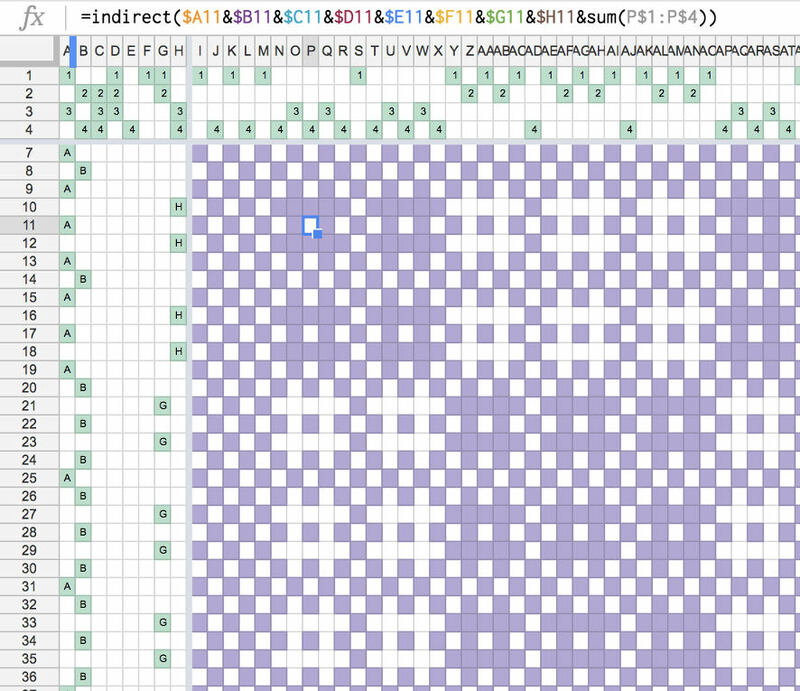 A bunch of mathematically-minded folks started sending snapshots of it to Stephen Wolfram, the computer scientist famous for studying cellular automata. Back in the 80s, he'd famously created 256 simple rulesets that, beginning with single cell, would produce complex, byzantine patterns. When Wolfram looked at the Cambridge North building, he recognized it as his favorite pattern of all time: "Rule 30". The ultimate result of a Rule-30 sequence might be even useful in crypto, because it's pretty hard to work backwards to its initial state. Rule 30 is also found in nature, including in the patterns on the shells of Conus textile. When we look at the pattern, our visual system particularly picks out the black triangles. Over at the Root Simple website, Mr. Homegrown wrote about the fun he's been having learning how to draw Islamic geometric patterns from this book by Eric Broug. It’s a book of step by step drawing instructions. All you need is a ruler, compass, pencil and pen. While the geometry behind theses patterns is enormously sophisticated, actually drawing out the shapes is surprisingly easy and relaxing. 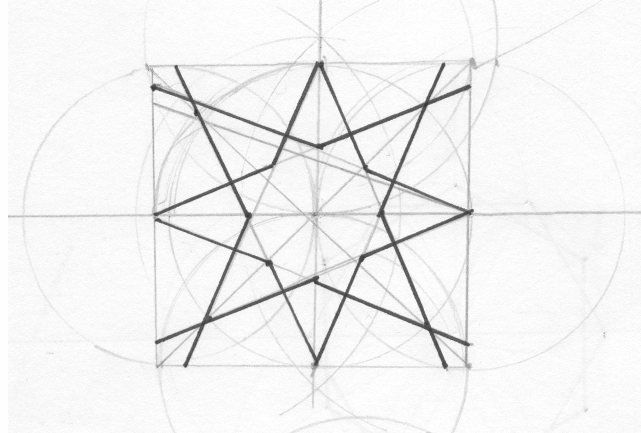 It’s also a fun and painless lesson in geometry, especially for those of us not inclined towards math.. Step outside, look in any direction, and you’re sure to spot some exquisite designs in nature: the vivid jewel-like symmetry found on the wings of a butterfly, the fractal branching of trees, the pointillist patterns sported by a snake, or the hexagonal nest of a wasp, just to name a few. 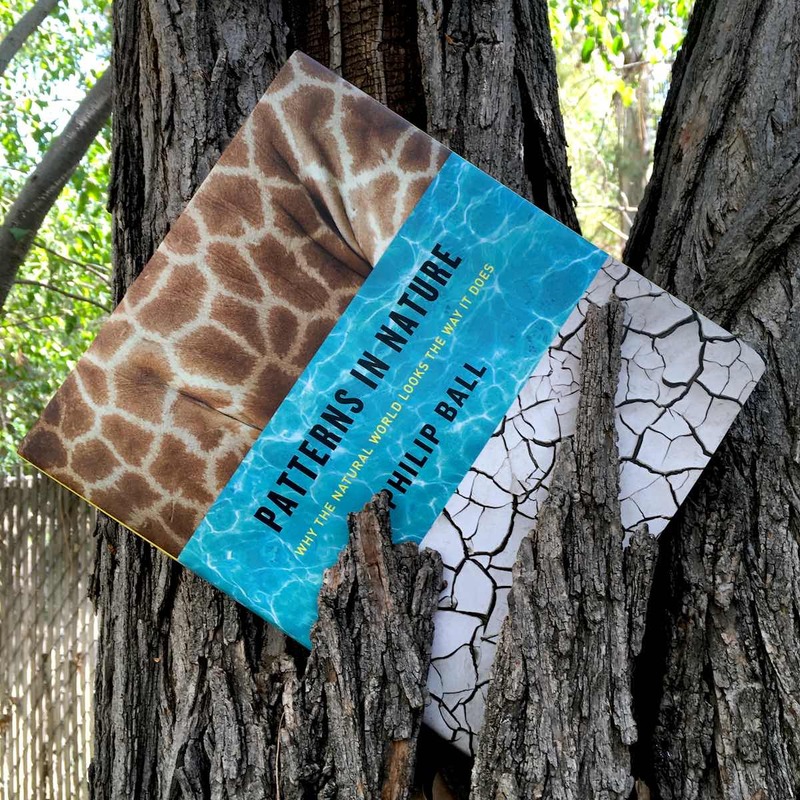 And science writer Philip Ball has captured some of this beauty with over 300 stunning photographs that he includes in his latest book, Patterns in Nature. 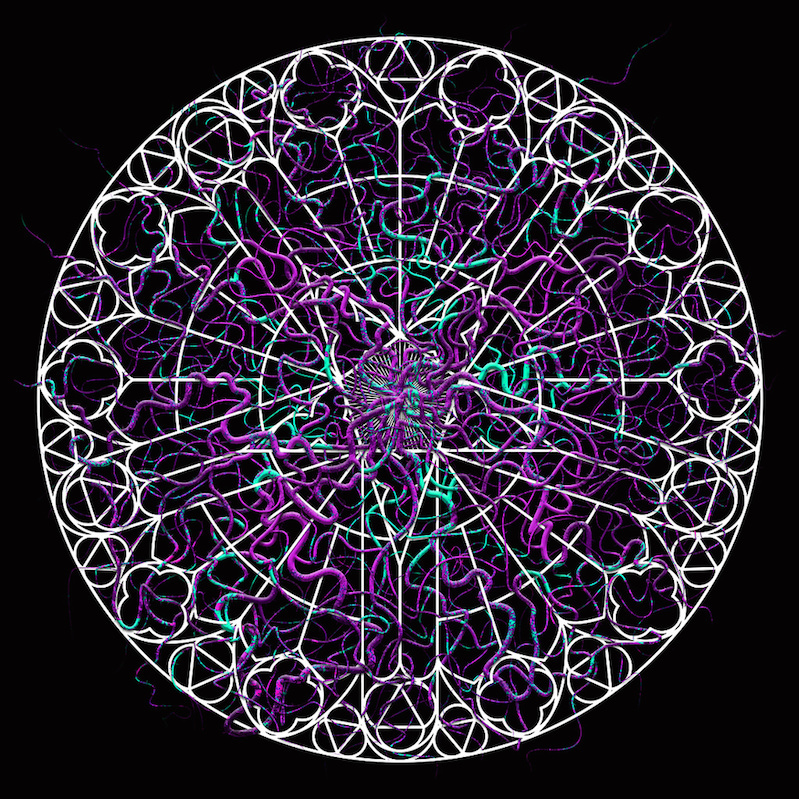 Categorized in chapters such as Symmetry, Fractals, Spirals, Cracks, and Flow and Chaos, Ball explains with both images and an accessible narrative how the most magnificent designs on the planet come from math, physics and chemistry, not human beings. 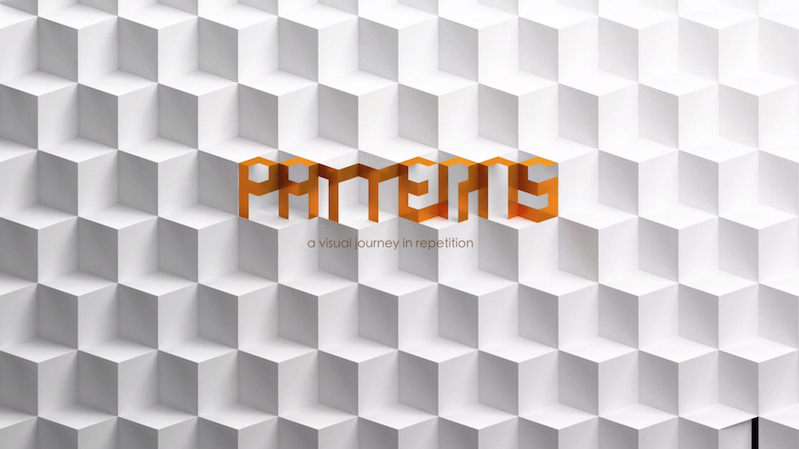 He describes the various mathematics that create various patterns, and also points out parallels between similar patterns with seemingly unrelated sources. For example, the spots on a butterfly mimic the face of an owl. The “spots” on a giraffe look similar to cracked mud. Ball turns complex science into a fascinating read, and his gorgeous coffee table book is perfect for both the science and art minded alike. 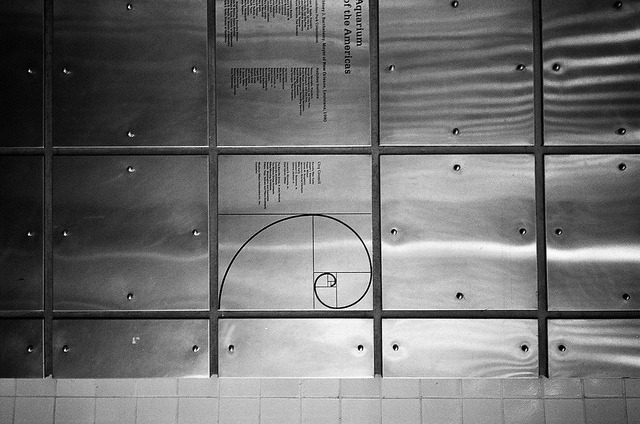 The Golden Ratio — that geometric expression of the Fibonacci sequence of numbers (1, 1, 2, 3, 5, etc.) — has influenced the way master painters created art and can be spotted occurring naturally in the seed arrangement on the face of a sunflower. But its serendipitous appearances aren't nearly as frequent as pop culture would have you believe, writes Samuel Arbesman at The Nautilus. In fact, one of the most common examples of mathematical perfection — the chambered nautilus shell — actually isn't. 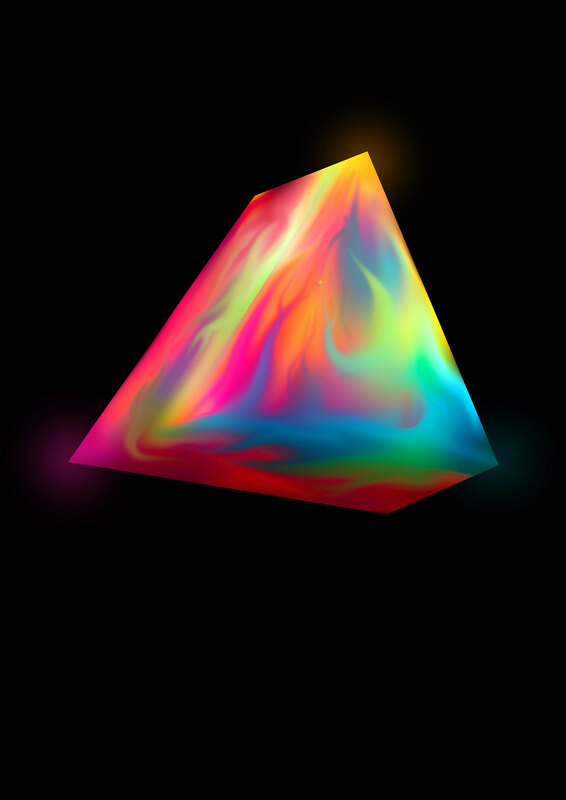 Even math can become part of the myths we tell ourselves as we try to create meaning in the universe.